Earlier this week, General Motors began a round of layoffs affecting thousands of salaried positions. Now, The Detroit News is reporting the company plans to eliminate 1,298 jobs at its Warren Tech Center, which are apart of the company’s plan to lay off roughly 4,250 salaried employees in the coming weeks. 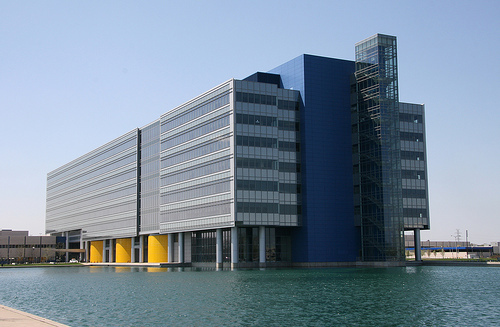 The Detroit News learned of the layoffs through a filing with the state of Michigan. In it, General Motors said that the affected employees at the tech center were being asked to stop coming to work February 4. However, they will continue to be employed by the automaker through April 9, continuing to receive compensation for wages and benefits. The affected employee will no longer be in the company’s payroll system after February 28. The layoffs come after General Motors offered voluntary buyouts last year, offering 18,000 employees six months worth of salary and health benefits starting in January in an effort cut 7,000 to 8,000 employees. However, only about 2,250 opted to take the buyout. When GM announced its proposal for a company-wide restructuring in November, the automaker said it wanted to cut 25 percent of its executive staff and 15 percent of its salaried workforce. The layoffs are apart of GM’s plan, which also includes discounting several models and closing five North American factories, to save the company $6 billion by 2020 as it focuses its resources on electric vehicles, high-profit models, and new self-driving technologies. But it’s not all bad news at the automaker. While the company does plan to idle five factories in North America—four in the U.S. and the Oshawa factory in Canada—it has 2,700 openings at other facilities for about 2,800 employees who are to be affected by the plant closures. Many are already accepting transfers to other GM plants such as Flint Assembly. Which models are being discounted…..only heard of discontinued! The skills base for car design is changing quickly so redundancies occur simultaneously while hiring.